134.2 kHz RFID Antennas | GAO RFID Inc.
Our line of 134.2 kHz RFID Antennas are used with our 134.2 kHz RFID readers in areas where metal or water are predominant. Due to the low frequency of 134.2 kHz, it is less sensitive to radio frequency interference, making it a suitable choice in complicated environments. 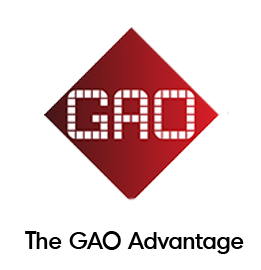 GAO RFID offers a selection of 134.2 kHz Low-Frequency RFID Antennas with key protocols designed to complete proximity reading range environments. This kind of antenna is used in conjunction with 134.2 RFID readers to enhance performance in areas where metal or water are predominant. Moreover, due to their low frequency, the 134.2 kHz antennas are less sensitive to radio frequency interference, which makes them suitable for complicated environments. Low frequency is a cost effective option for applications allowing consistent physical placement of tags on items to identify at close range. The antennas are available at 134.2 kHz frequency and have IP65 and IP66 Ingress Protection standards by which they are protected from total dust ingress and are also protected from low and high-pressure water jets from any direction. 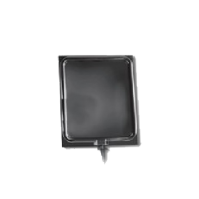 Furthermore, the 134.2 kHz LF RFID antennas provide an excellent performance even in noisy conditions and support long distance identification with a large reading volume. We offer 134.2 kHz low-frequency RFID antennas in different form factors and materials. These devices have a robust construction and are able to work under harsh conditions. These kinds of antennas are available in different sizes for an optimal choice in regards to volume and installation space. The 134.2 kHz RFID antennas enable to complete proximity reading range environments. The antennas are suited for different applications in agriculture and industrial automation. In combination with stationary RFID reader, the antennas are used for contactless identification of animals and objects. Other uses for this type of antenna include applications with demands for long distance identification and a large reading volume, such as cattle farms, slaughterhouses, packing plants or livestock markets. Our 134.2 kHz RFID Antennas can be paired with any of our 134.2 kHz readers. 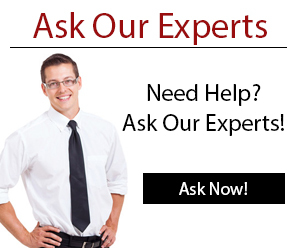 Our Experts will be happy to assist you in finding the right antenna for your configuration. 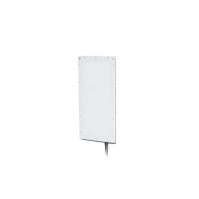 This 134.2 kHz ASA fixed reader antenna panel is designed for applications with demands for long distance identification and a large reading volume. In combination with stationary RFID readers, this 134.2 kHz antenna is used for contactless identification of animals and objects.